Cool Kids Echosmith Live in Singapore! This post is sponsored by AMPEd. 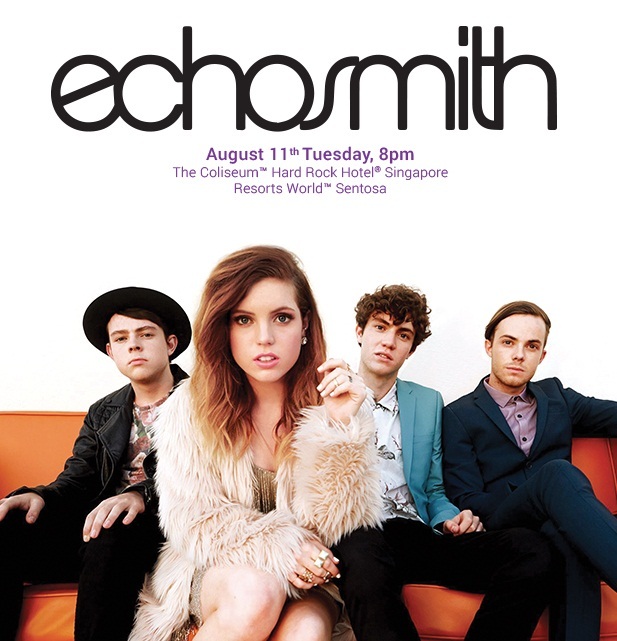 “Cool Kids” Echosmith Band will be performing LIVE in Singapore on August 11th! If you’d like to score 4 tickets, all you need to do is to sign up for 12 months of AMPed Premium @ $94.80 ! That’s less than $25 for one ticket. #SCORE! Hurry gather your friends for this concert before it’s sold out~ For more information, visit AMPed website here.